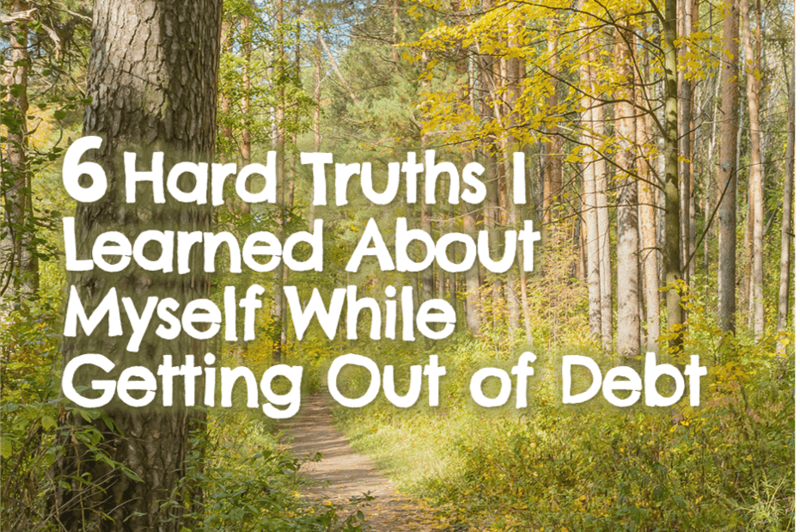 6 Hard Truths I Learned About Myself While Getting Out of Debt | Good Life. Better. As someone who loves spreadsheets, when I finally started getting out of debt, I approached it as if it were a mathematical problem. I had about $60,000 in debt (credit card, student loans, home equity loan and car loan) and if I trimmed back my expenses I could put about $2500 a month toward it plus money from other sources, etc., etc. 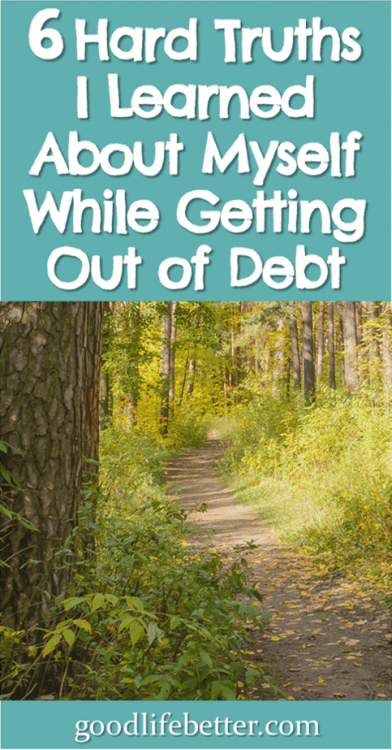 What I underestimated was the emotional aspects of getting out of debt. Why was I living beyond my means? Why had a never prioritized paying off my debt before now? All these questions and more awaited me on my journey. Here is what I learned about myself in answering them. It became clear early on that I was an emotional spender (I am also an emotional eater, surprise, surprise). As with emotional eating, emotional spending creates a rush of endorphins that persuade you all is right with your world—at least until the rush wears off. Then, all you are left with is shame and regret (also as with emotional eating). I would like to say it was easy learning how to soothe myself without overspending but it wasn’t. I had some things working in my favor. I had a handle on the anxiety that had plagued me in the past few years and I knew the sacrifice was only for a specific period of time—about 16 months. But sometimes I just had to distract myself with other activities to keep from filling up my Amazon shopping cart. 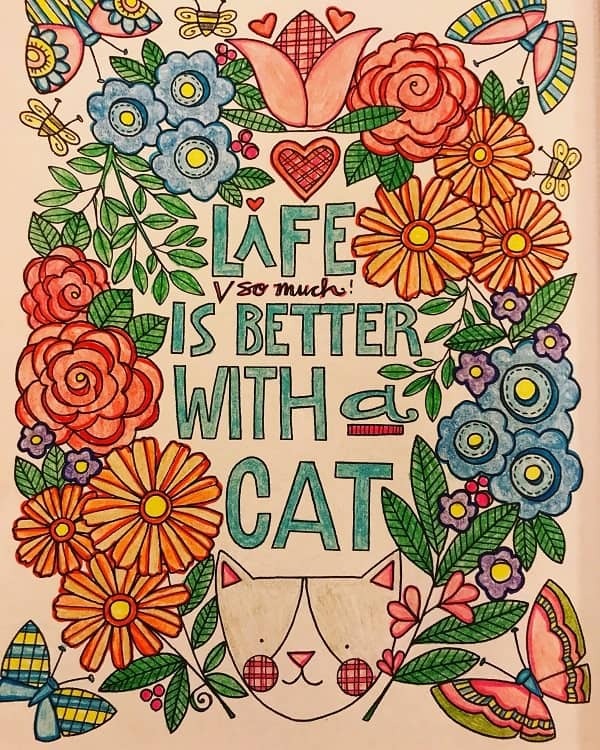 I took up adult coloring, for example (see one of my favorites at right!). The second truth I learned was that I shopped to fill the time so I wouldn’t have to think about other aspects of my life that weren’t going so great. This included, ironically, worries about my money and my ability to fund my retirement, feeling disengaged at work, and sadness over the death of my brother. Having shopping on my to do list gave me something I could check off, tricking myself into believing I was being productive. The third truth was that I was completely confused about what I needed versus what I wanted. For example, I remember needing a small table to put on the far side of my couch so I had somewhere to set a drink. Two trips to IKEA and $25 later, I had the table assembled and in place. And then never used it. I didn’t need this table. I wanted this table. And if I had understood this distinction better, I may not have spent the money—or the time—acquiring it (as well as so many of the other things I felt I needed to buy). The fourth truth was that my condo wasn’t cluttered because I was disorganized: it was cluttered because I had too much stuff. This came to light because while I was getting out of debt my pace of donating items stayed about the same—or maybe even increased—despite the fact I was buying way less. I am far from being the first person to promote living a minimalist lifestyle but I could be a poster-child for how freeing it is to reduce what you own to the essentials. The fifth truth was that bringing new items home meant I didn’t have to deal with the things I already owned, especially the clothes stuffed in under-bed storage containers (this explains how I ended up with 7 black sweaters). Now, it becomes apparent very quickly if I am not wearing a particular top or if I haven’t used a particular kitchen gadget in a while. Once that happens, it goes into the donate pile and out of my life! The last truth was that it wasn’t my income that was the road block to getting out of debt but my mindset. I was already earning enough, and didn’t need that next promotion to make it happen. I could make it happen today. This really became apparent when I saw a good friend of mine adjust to making about half of what she made before taking a pay cut (and about three times less then what I was making). I needed to stop my whining and get it done. Do Any of These Truths Resonate with You? I am still a work in progress and some days I do better than others at living below my means. One thing I know for certain is that I don’t regret confronting the aspects of myself that were causing me to overspend. 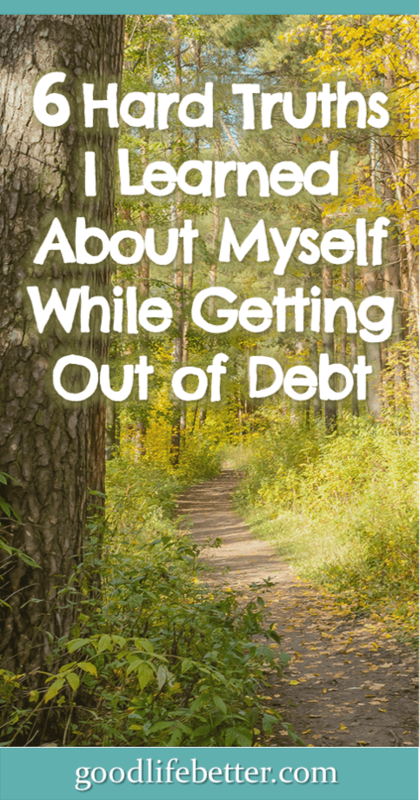 Now it’s your turn: what have you learned about yourself during your debt free journey? Share it below! Great insights, Jenny. Distinguishing your needs from your wants is a big one. Wishing you continued progress! Thank you! When I move and inevitably donate that little table, I am going to take a picture of it to remind myself what a waste of time and money it was. This is really great – glad to have read this! I’m analytical when it comes to my finances – it’s all about the numbers. 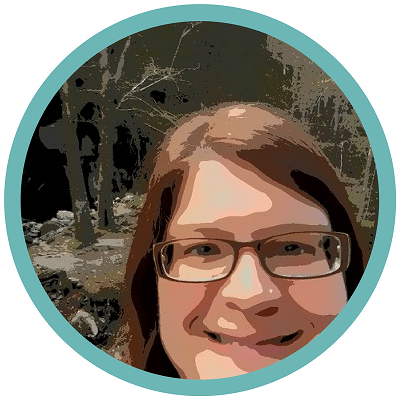 The biggest reason I took out too much in student loans is because I was unaware of the dreaded origination fees – I figured I could put the money to good use with little or no cost. It’s entirely my fault I didn’t know because I just clicked through the required educational reading material. I mean, I know everything, so what do I need to read this information for? Thankfully (to me!) she’s analytical enough that she’s much improved over the past couple years with these bad habits. But I do what I can to help her, such as packing her lunch with enough food she doesn’t need to go to the vending machine. And honestly, her emotional self really helps balance my analytical self. It’s sounds like you and your wife are a good match! Yes, sometimes people like me spend money because it distracts and soothes and, in the moment, it is difficult to ask ourselves if we really need whatever it is or not. By becoming aware of it, I am better able to stop and ask myself why I am making a purchase. Thank you for the comment! Thank you for the feedback on the article–I love the idea of it helping people!–and for your sympathy about my brother. He was a good person and I miss him a lot. I know if he was still alive he would be my biggest fan (this thought made me smile)! That’s great! For me, becoming a more mindful spender did not happen overnight either but it has happened. Where I used to work to find excuses to buy something, now I talk myself out of purchases. It’s been a slow change but the end result is no debt and growing savings so I’m not going to question it. Thanks for the comment!